This is my first installment of ‘The Way, The Truth, The Life’ on this blog. On my previous blog, I used to do devotionals once a week. However, as much as I love finding inspiration in God’s Word, I am more likely to be analytical in my studies. This series should make an appearance on my blog about once a month. This blog series is for anyone who asks questions. It doesn’t matter if you are Christian or not, if you are interested in the subject I’m discussing, please feel free to chime in. I will do my best to answer questions, or to point you in a direction where I know you can find an answer. My family is odd, in the sense that when many of us gather together (especially extended family) we tend to have theological discussions. At one of these family discussions, my mother, a cousin, and I were discussing the importance of knowing God’s Word and how to determine whether a particular doctrine was consistent with Scripture. The only truth we can know? That is very dangerous ground for a Christian. If all doctrine is subjective (only applying to different people at different times, when we now have a definition that states doctrine must be something that is true – which helps to give us the further criteria that if a doctrine does not match up with God’s Word, then it should not be considered doctrine), then that makes the very sacrifice of Jesus subjective as well, because how can you know that is truth? Scripture alone promises so much more, and avoiding falling into that type of thinking is exactly why reading the Word of God is as vital as accepting His Son. If you don’t know – or believe – the Word of God and how to apply it to different situations, then you fall into the deception that the only relevant truth is Jesus. Yes, Jesus is the only truth, but you have to know how to see life through that truth, and it is more than just believing in Jesus. The hitch here is that Jesus and the Father are one (John 10:30), and if Jesus is the Word (John 1:1-15), then we cannot believe we have an intimate relationship with Jesus Christ if we do not know scripture. What good is it, my brothers, if a man says he has faith, but has no works? Can faith save him? And if a brother or sister is naked and in lack of daily food, and one of you tells them, “Go in peace, be warmed and filled”; and yet you didn’t give them the things the body needs, what good is it? Even so faith, if it has no works, is dead in itself. Yes, a man will say, “You have faith, and I have works.” Show me your faith without works, and I by my works will show you my faith. 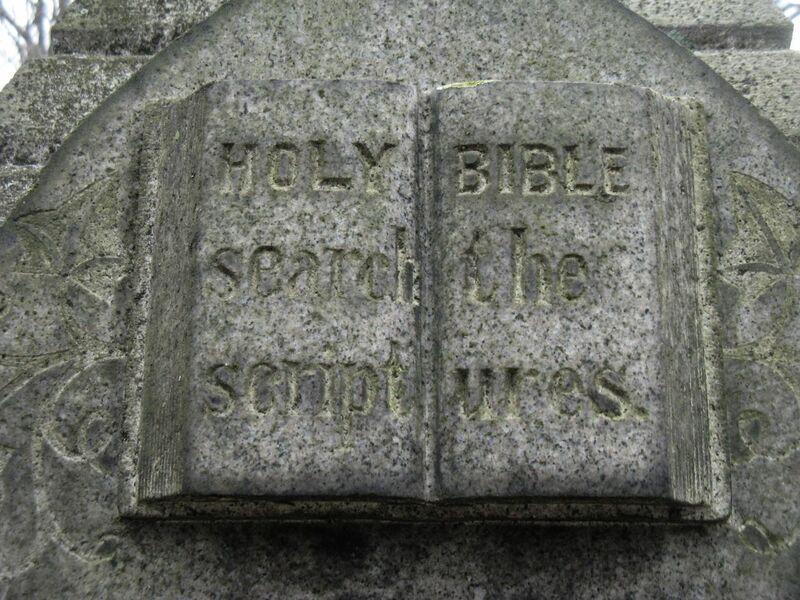 So what is truth, according to scripture? That’s only one of the more obvious scriptures, but the doctrine of God as truth is woven through both the Old and New Testaments. Anyone who claims to be a professing Christian, yet is not willing to “receive the word with all readiness of mind, examining the Scriptures daily to see whether these things are so” (Acts 17:11, my paraphrase), has little understanding of God, or of truth. Being able to understand and defend the Word of Truth is expected of Christians. Do you know how many times non-believers have made a mockery of us because we don’t even know what our own Scriptures say? I’m not talking about those who simply take Scripture and twist it to fit their own agenda of fallacy and division. I’m talking about people who ask genuine questions of Christians, and Christians can’t even answer them, even when there is Scripture that is applicable to the situation. If we weren’t supposed to discuss the Word of God, its intricacies, and test various doctrines by it, then these instructions would not need to have been included in the Scriptures. But you have to know the Scriptures. We are supposed to wonder, to question, to test our theories and other doctrines against the Word of God. We are supposed to continually grow in our faith, not reach a plateau. If Jesus’ sacrifice meant ‘and that’s that! We’re all done, folks!’ then there was no reason for the Holy Spirit to follow after, because the purpose of the Holy Spirit is teaching, and what purpose is there for a teacher unless there is meant to be growth?